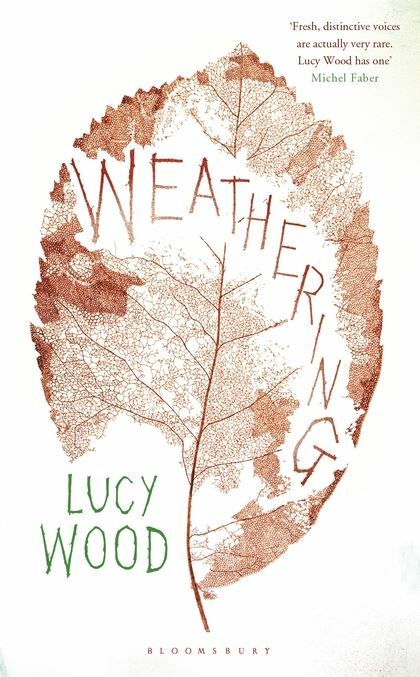 Weathering is a meandering, almost dream-like novel in which a mother and daughter, Ada and Pepper, return temporarily to the decaying and isolated home of Ada’s recently deceased mother, Pearl. The cottage resists all attempts at renovation as the damp of the adjacent river and the constant rain and snow intrude on a daily basis, and the ghost of Pearl seems to haunt every last corner – literally and figuratively. The relationships between three generations of women are explored as they constantly repeat and reflect one another, and attempt to come to some sort of peace with themselves, each other and their surroundings. I absolutely loved Weathering, but if you’re looking for a novel with pace and plot, you may want to give this one a miss: the characters’ journeys are slow and difficult, and the narrative is rich with descriptive detail, to the point where the house and the river on which it stands are really characters in themselves. This is a book with an incredible sense of place and atmosphere, and of the effect that one's environment can have on the psyche. Rarely have I read a book which has given me such a strong, almost physical sense of its location. It’s also a brilliant character study of three women. Six-year-old Pepper is difficult child, excluded from multiple schools, prone to fits of temper and full of blunt questions. She’s capable of developing a fierce fondness for people, yet has little idea how to express this; at the start of the novel she repeatedly butts at Ada's hip rather than giving her a hug, and her disappointment when a feral cat refuses to return her love is poignant. Ada herself, back in the very place from which she spent her whole life planning her escape, seems inept and irresponsible at times; nonetheless, it’s clear that she’s simply trying to do her best under challenging circumstances. Cooking is one of the ways that she not only shows affection and helps herself to feel under control, but also the means through which she begins to find some sort of niche in a village stricken by rural decline. She is also full of guilt at leaving her mother alone – a guilt that’s encapsulated in the blood stains on the floor from her mother’s fatal fall. Pearl herself, whose death has brought Ada and Pepper back to the house in the first place, begins Weathering as a ghost trapped in the treacherous river, and yet her plight is extraordinarily physical as she struggles against the current and the weeds. Gradually, she fights her way back to the house and makes her presence known in a way that Ada doesn't seem to find surprising; we’re almost straying into magical realism here, albeit in a remarkably unwhimsical manner. There’s a suggestion that runs through Weathering that only through memory will Ada and Pearl manage to repair their relationship, as each of them dwells on their years living in the cottage together and on Pearl’s unorthodox approach to motherhood. They don’t explicitly discuss this – their interactions are small and few – but in the environment of the cottage, in which the memories of years past seem to be as deeply ingrained in the walls as the ever-present damp, they seem to be reconciled. Pepper, a child whose life so far has lacked continuity and belonging, takes to photographing things as physical record of memory, only to be utterly devastated when she discovers that her camera lacks a film. The idea of someone coming to a particular place, hating it and then gradually finding happiness by making it their own is not a new one. However, Weathering presents the idea in a way I haven’t seen before, full of ambiguity and frequent unease. There is a strong sense that the battle against the climate and the isolation will never be won, that the house will never be comfortable and dry, and that its occupants can only accept, rather than overcome, this situation. Pepper is as drawn to the river and its bird life as Pearl was before her, and is enchanted by observing them, but never is the landscape romanticised – indeed, the river’s unpredictable currents and sudden rises in water level are a constant threat. Watching the birds means being cold and wet, entangled and scratched by vegetation. Similarly, every tiny thing at the cottage, whether it's getting the radiators going, making a journey in Pearl's old car or even just painting a wall, presents an exhausting challenge. There is no moment when Ada and Pepper finally triumph in their struggle with the house; when a leak in the roof is fixed, it simply reappears elsewhere. As a portrait of rural life, Weathering is similarly uncompromising. Ada’s former school friends Judy and Robbie are struggling to keep their farm running, the local pub is frequently empty and serves terrible frozen meals; the village shop is exploitatively expensive, devoid of fresh produce and sells bottled water and bad firewood at inflated prices when the pipes freeze over the winter. And yet somehow, this is where Ada and Pepper realise that they belong. Weathering is a beautifully written, vivid and captivating novel, bittersweet and occasionally surprisingly funny. There is a sense of melancholy about it, but ultimately, I found it strangely life-affirming.